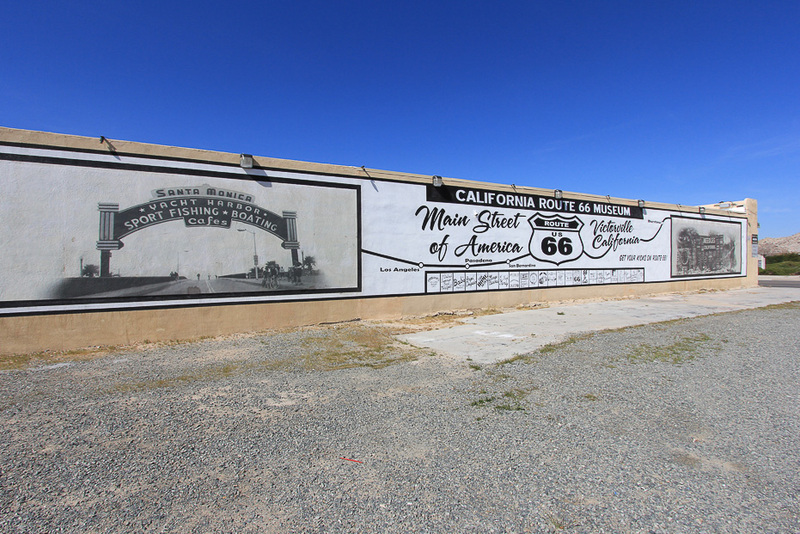 February 26, 2015 - Today we drove north to the high desert to visit two smaller museums that we haven't seen before. The term "high desert" is used most commonly to refer to the Antelope Valley and the Victor Valley areas of the Mojave Desert. 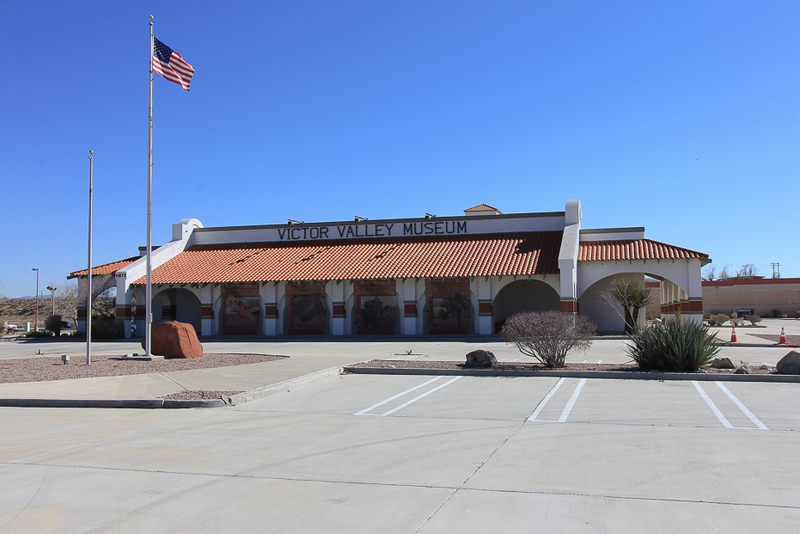 Our first stop was the Victor Valley Museum in Apple Valley, CA. 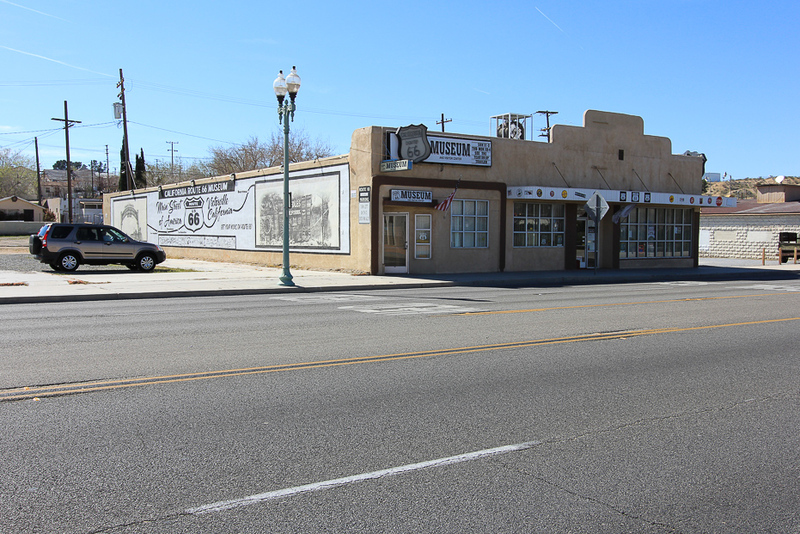 This museum is a branch of the San Bernardino County Museum system and its focus is on a little bit of everything concerning the high desert area. 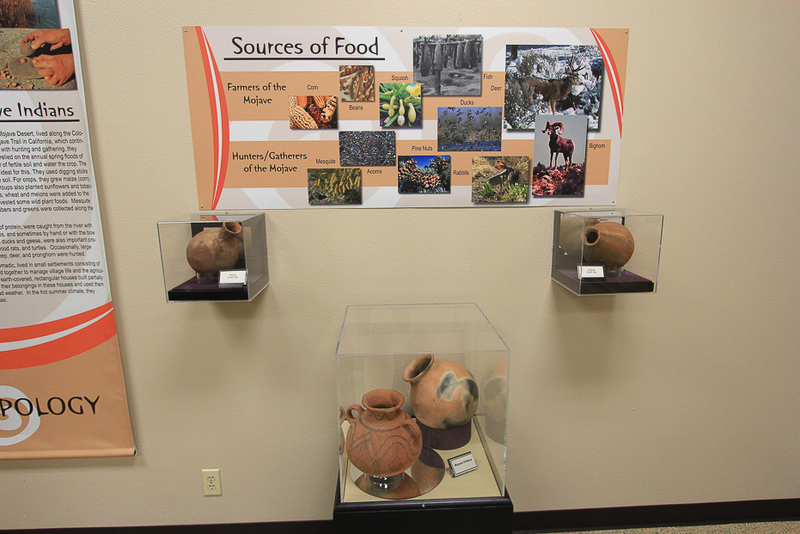 There are fossils, gems, Native American artifacts, as well as other exhibits about nature and the geology of the area. 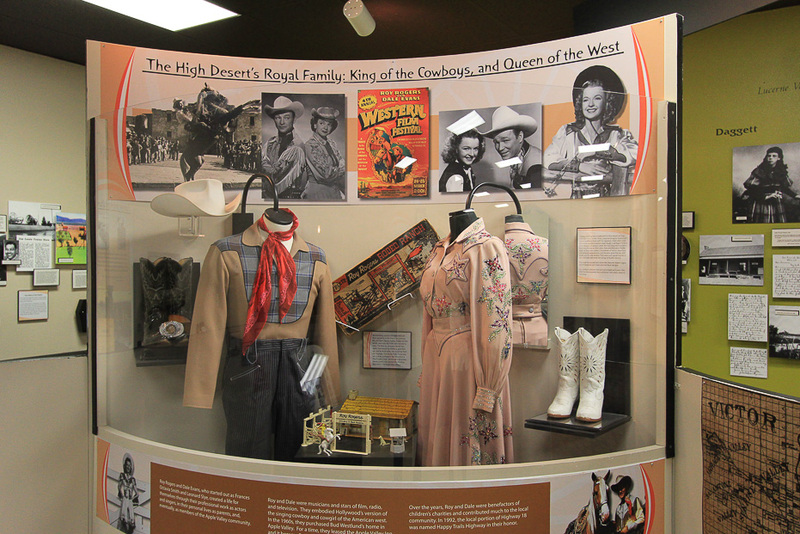 There were also quite a few exhibits about Apple Valley's most widely known residents, Dale Evans and Roy Rogers. 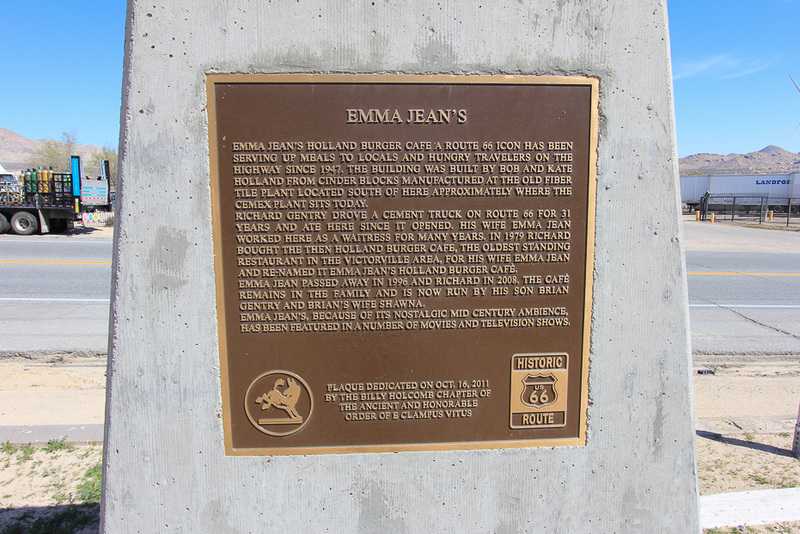 Before heading to our second stop, it was time for lunch on old Route 66 at Emma Jean's Holland Burger Cafe. 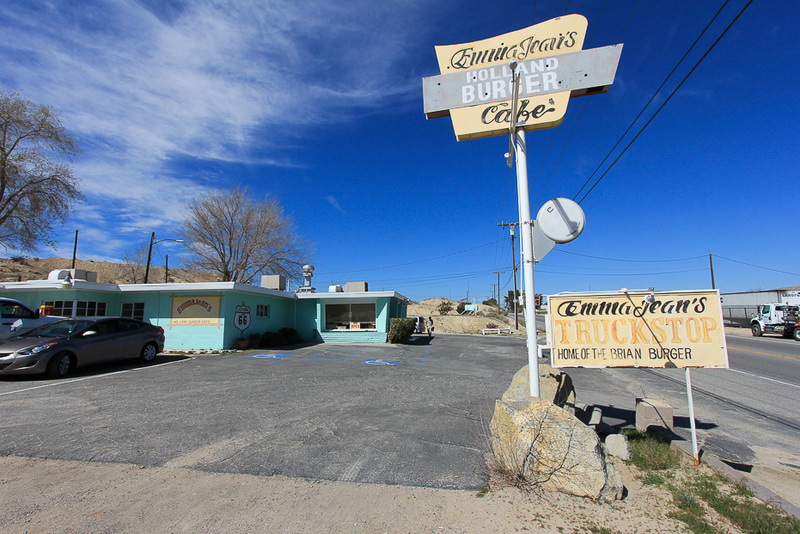 This is the diner featured in the Kill Bill Vol. 2 movie and the Diners, Drive-Ins and Dives television show. 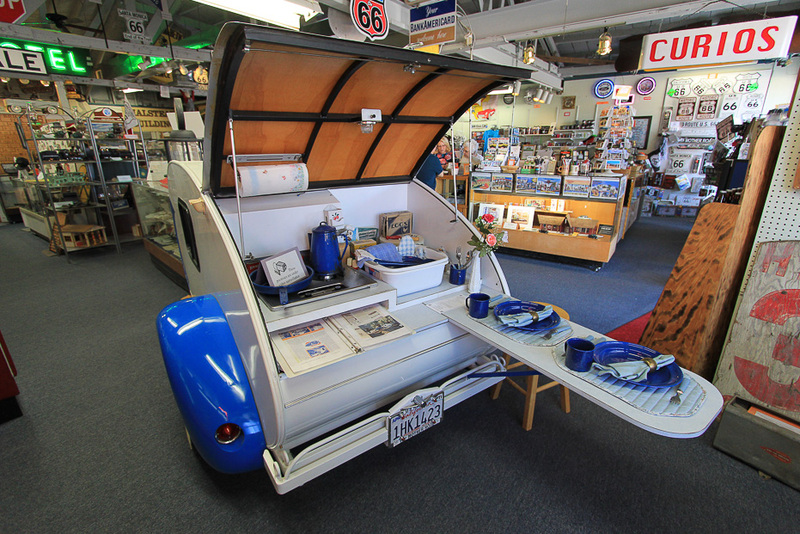 Our next stop was the California Route 66 Museum in Victorville. 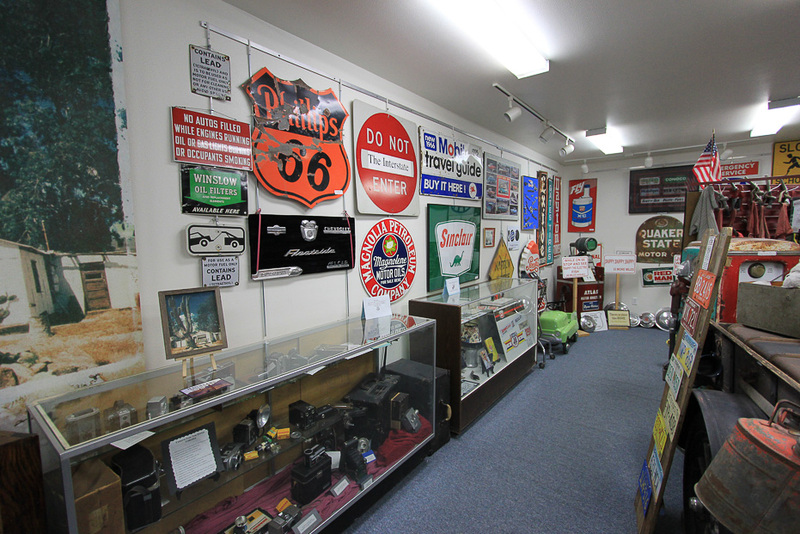 This museum is devoted to the representation of U.S. Highway 66 in both historic and contemporary exhibitions. 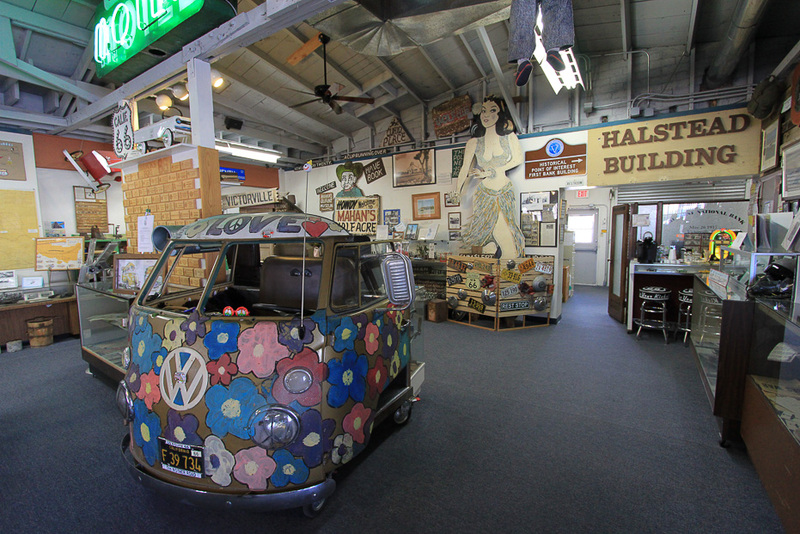 It is just packed with exhibits and memorabilia. 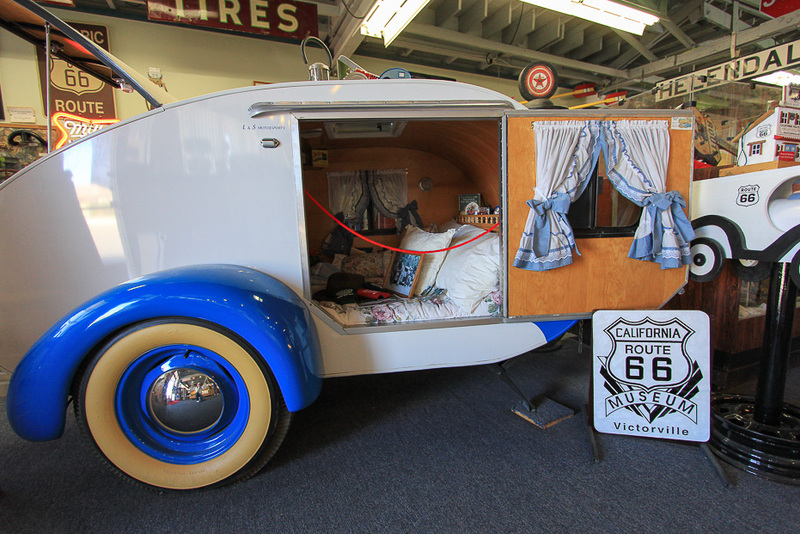 We both loved this "tear drop" trailer with a double bed and a kitchen in the back. It's pretty cool. It was a great trip! By the way I had the bacon cheese burger at Emma Jean's and Judy had their Ortega burger with Swiss Cheese.